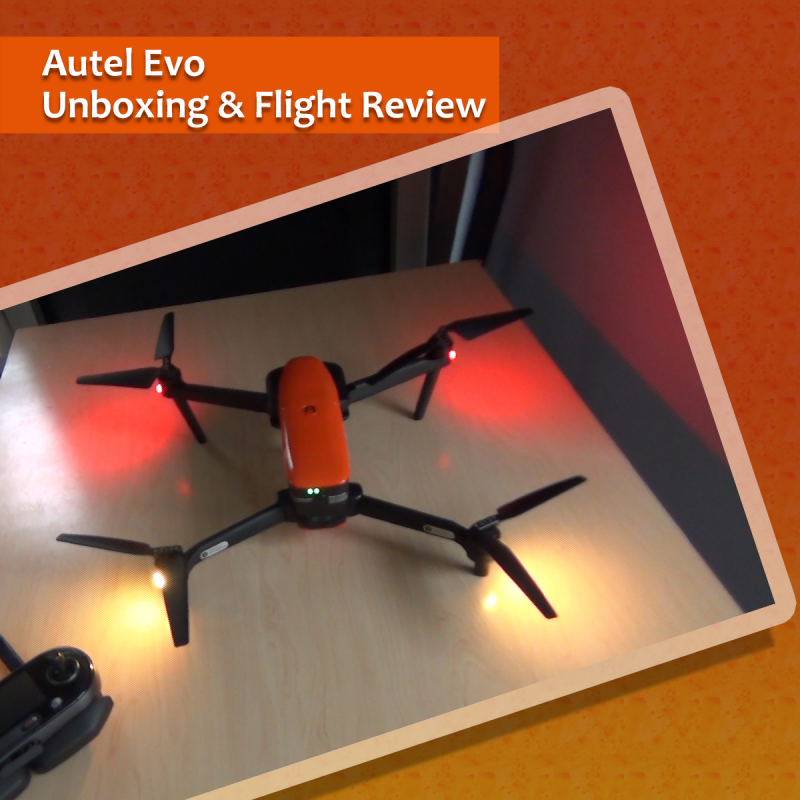 Autel Evo Review | Should You Buy it? After flying the new Evo from Autel for a few weeks I can honestly say it’s my new favorite drone. This is my first foldable drone and I absolutely love the portability that it provides. My previous drone, the Autel X-Star Premium is a great drone, but it’s not the easiest drone to travel with. Especially, when you are traveling with kids and pets! In addition, you have to take off the propellers when you put it into the case and the remote controller is quite heavy and after a few mins. (No built-in screen either) gets a little uncomfortable. As I said earlier, this is my first foldable quadcopter and many of the features I like so much in this drone are available in the DJI Mavic air or the DJI Mavic Pro so I want to avoid the DJI Mavic Air vs. Autel Evo argument and give my honest opinion of this drone. I did pay for the drone myself and wasn’t asked to create this review. I really like the controller so far. It’s very light and feels very comfortable in my hands. I enjoy the fact that it has a built in screen so you don’t need to attach your phone if you don’t want. You can attach your phone for additional data/information but it’s not needed. I think the screen is just the right size for a quick drone outing. If you were going out to shoot a specific scene for a movie or need to really make sure you got a specific shot I would recommend hooking up a tablet or something a little bigger than a phone. 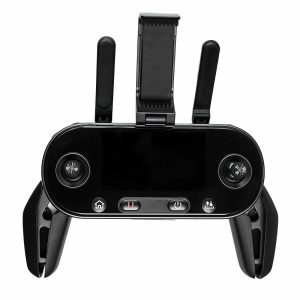 In addition, the controller handles fold up which goes towards making the drone as portable as possible. The app from Autel is what you would expect from a drone in this price range. It allows you to select different intelligent flight modes like dynamic tracking, orbit, etc. I think the app does everything you would need and will only get better as they develop it. I do like that fact you can easily select a “Novice” mode which will allow you to familiarize yourself with the drone before putting it through its paces. This drone can fly up to 45mph! The size of the drone is a great size which allows for ease of travel but also won’t get pushed all over in a little bit of wind. The wings fold out, you place it on the ground, and you are good to go. The battery is basically the whole back half of the drone and slides out/ in with a click. I’ve seen some reviews where users were concerned the battery could come out in flight, but I would have a hard time imagining that if you clicked the batter in properly. It does make changing batteries very easy. After 20 mins. of flight, the drone sides do get very hot to the touch, but nothing alarming. I would expect the drone to be hot after 20 mins. of flight. It does have a good design with heat vents and a bottom design aimed at reducing heat build up. The construction of the drone is top notch and the love and care that went into creating it are quite obvious. The drone is very solidly built. 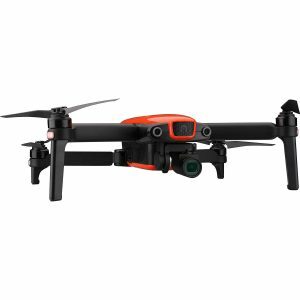 The design of the drone is very eye-catching and the color gives it a very sleek look. It does remind me a little of a Black and Decker battery with wings, but a sleek battery nonetheless. The detection sensors in the front and back of the drone are extremely helpful and a nice addition. The front camera sensor will warn you if an object is in front of the drone and will actually prevent you from flying forward if it thinks there is a danger. The back sensors will warn you of danger, but will not prevent you from flying backward into a tree. Someday, I can imagine a drone like this having sensors on the sides of the drone too, but for the time being, front and back are very helpful. I’ve flown a $100 drone and a $700 drone and I can honestly say this is the best drone I’ve flown. One of the coolest features of this drone is the fact that you can have it follow you and if it sees danger it will go around the danger to continue following you. From my time with the drone, I think the camera footage looks amazing. Any drone footage shot in 4K and reviewed on a 4K device looks fantastic. The drone does allow for 60 FPS which is great too. 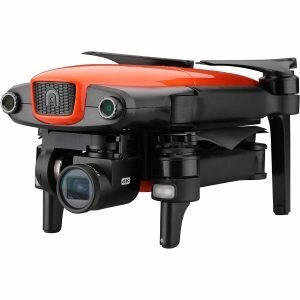 I think the camera is very comparable to any other drone in its price range. The camera is protected by a little plastic sleeve you can pop off and on. I’ve found the sleeve can be a little bit of a pain to get it back on, but if you flip the drone on it’s back it becomes much easier. Since the camera gimbal is so sensitive you don’t wanna just jam it on. At some point, you will need to update the firmware to fly your drone. I found that updating the drone was super easy! It tells you there is an update and if you connect the drone to the controller and press update it does the rest. My Autel X-Star is a little different as you have a few tiresome steps to perform to get any updates. Overall, I really like this drone and I think with firmware updates to both the drone and app it will only get better. 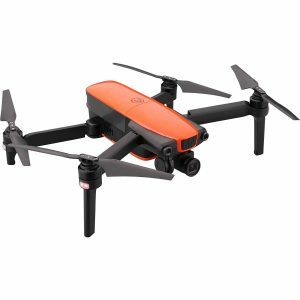 I don’t think you can wrong with this drone, especially considering their customer support is U.S. based and I see nothing but good things in regards to their customer service. Do I think it’s worth $999? Obviously, that is a great deal of money, but I will say that I feel like this is a great drone and I don’t regret buying it at that price. If you are looking to step up to a more expensive drone I would highly recommend it. 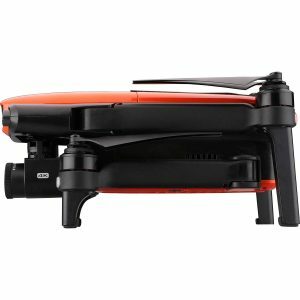 If you are looking for a new foldable drone I think this would be a great purchase. I will admit I haven’t flown as many drones as others, but I just love grabbing this drone and heading out to a local park. It’s just plain fun to fly! Buttons on the back are in a bad place. Would be nice to turn them off so they don’t beep by accident.